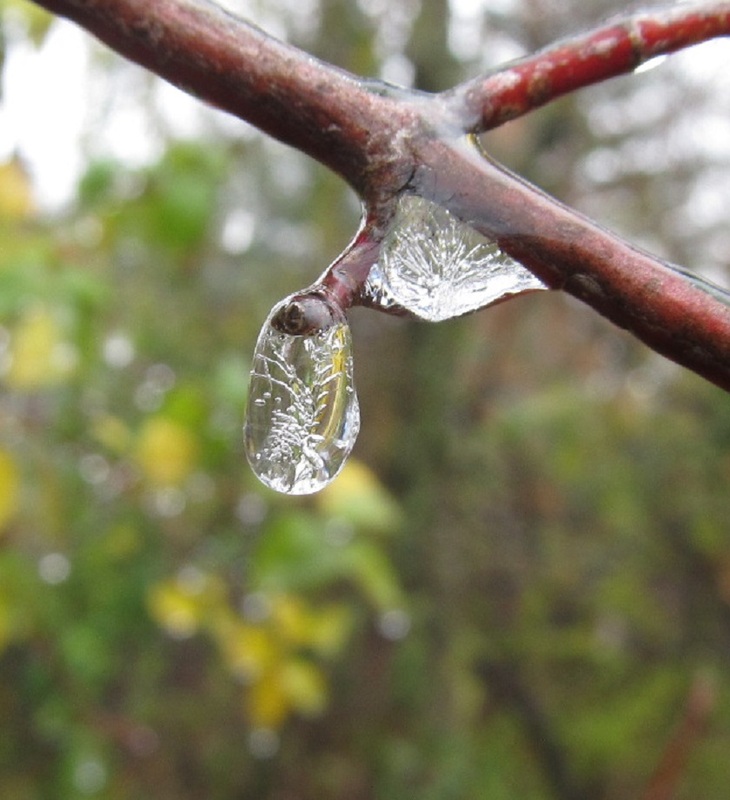 Luckily, a recent ice storm didn’t produce the amount that was forecast. 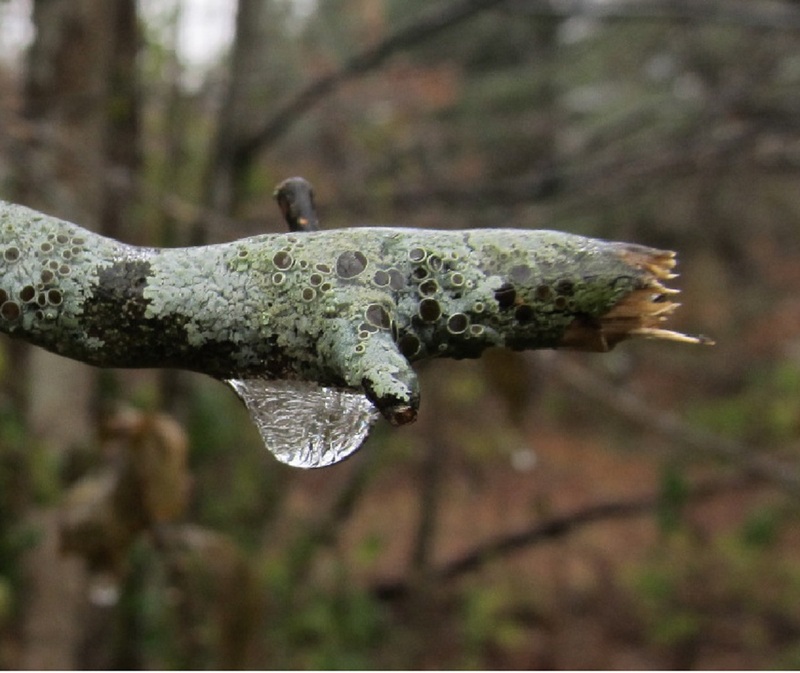 A thin layer of ice encrusted most surfaces. 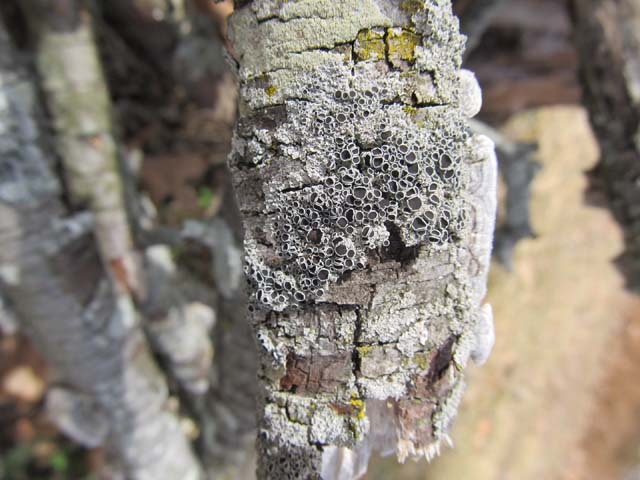 While walking a loop around the backyard, a short dead tree with lots of lichens caught my attention. One of my lichen books calls this a blister lichen, and my other one calls it a star rosette lichen. 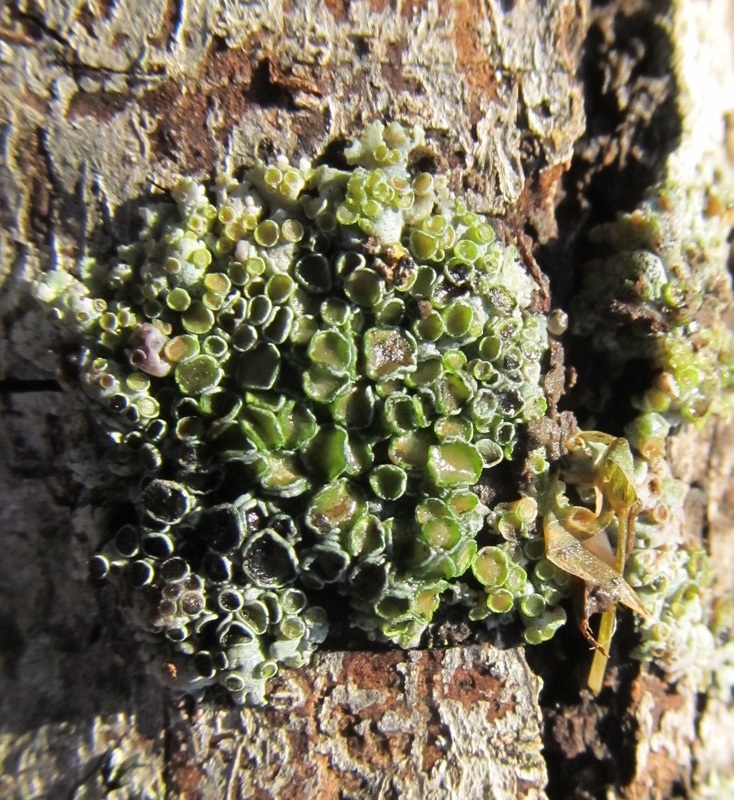 It also goes by Physcia stellaris. It is commonly found on deciduous trees. 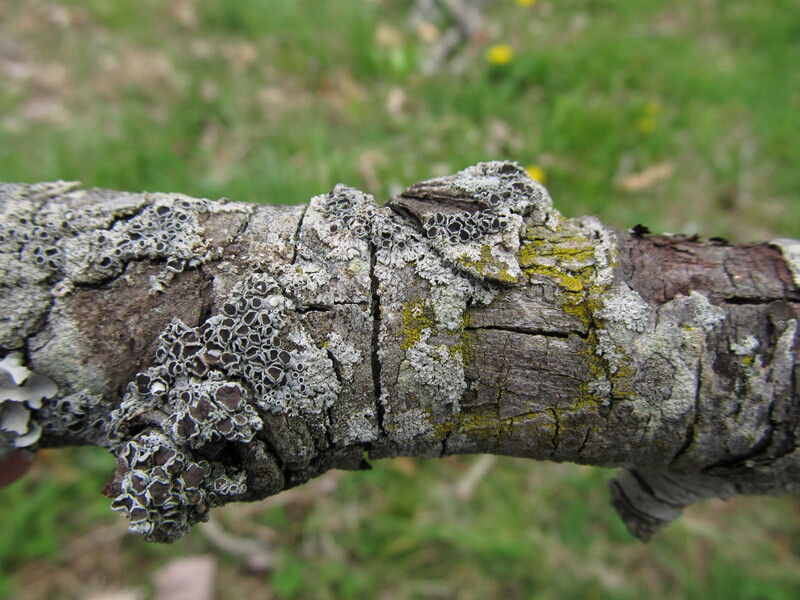 A lichen is actually two plants living in a symbotic relationship — a fungi and algae. The fungus provides a moist habitat for the algae to live in, and it also supplies the algae with nutrients as it decomposes the surface it’s growing on. Nature has such artistic abilities. My recent interest has included lichens. I have two books on lichens — Walk Softly Upon the Earth, published by the Missouri DOC, and Lichens of the North Woods by Joe Walewski. 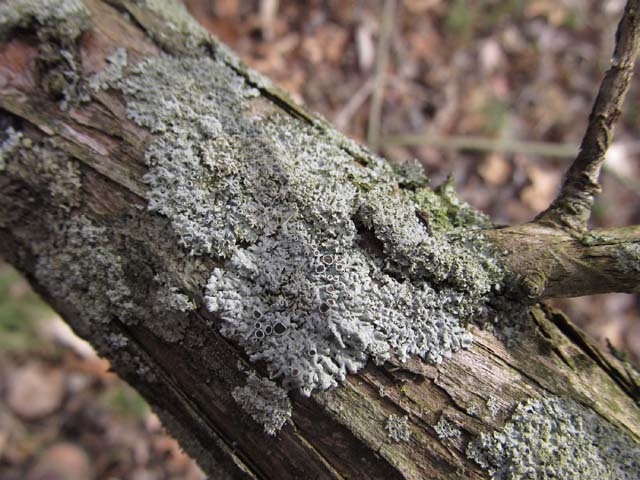 The Missouri book has the name blister lichen for this common lichen. 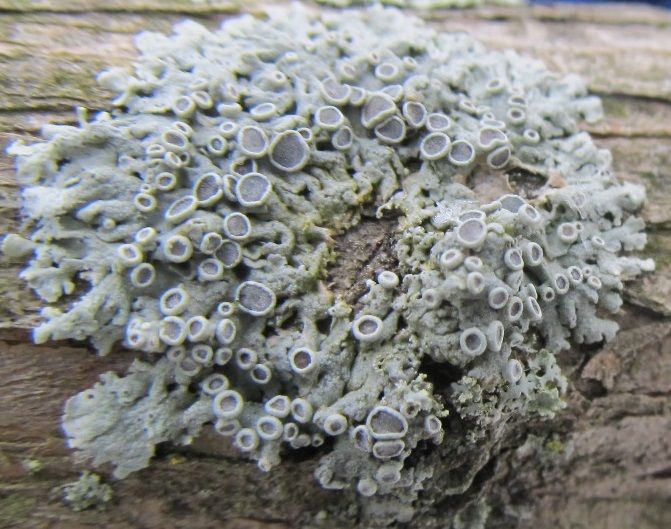 Walewski’s book calls it a star rosette lichen. Both use the scientific name Physcia stellaris. Spores develop in the disc-shaped fruiting bodies. It commonly grows on deciduous trees. 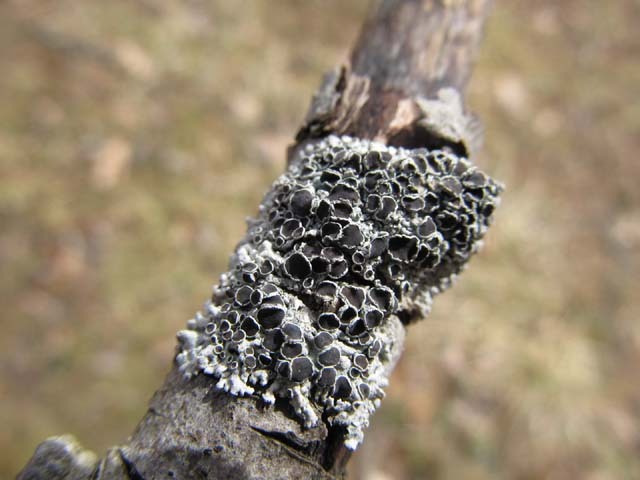 It’s a foliose lichen, meaning it looks leaflike and has only a few points of attachment to the surface. Very few scientific names make it into my permanent memory. Images easily become a visual memory. 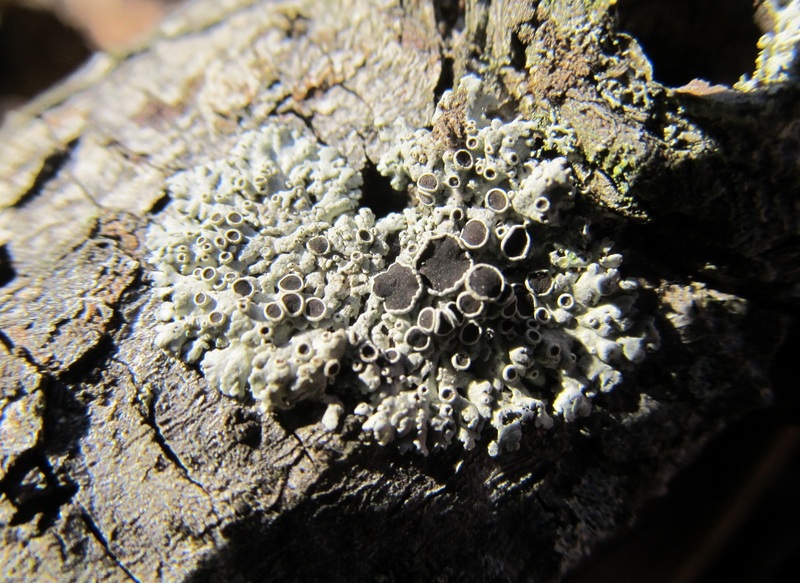 That being said, I plan to call this one blister lichen.